With the recent passing of one of TV and film’s greatest stars, Burt Reynolds, you can’t help but think back to some of his greatest roles. Without a doubt, one of those roles would be, of course, the Bandit. Reynold’s role in Smokey and the Bandit skyrocketed his career to super stardom, but he wasn’t the only one. The film also boosted the popularity of another star in the movie — the 1977 Pontiac Firebird Trans Am. Director Hal Needham tossed around a few ideas for the Bandit’s car, but once he saw the 1977 Pontiac Firebird Trans Am, his mind was made up. He saw the car in an advertisement and knew he had to have it for his movie. He felt so strongly about the car that he often referred to it as one of the movie’s star characters. Smokey and the Bandit turned the 1977 Pontiac Firebird Trans Am into a very popular car, but unbeknownst to many, the cars actually used in the movie were 1976-model cars with the 1977 front ends attached. Pontiac hadn’t actually started production of the 1977 model yet (even the car Needham saw in the advertisement was the ‘76 model fitted with the new 1977 front end). Three of the stunt cars from the film were literally destroyed by the end of the movie. The remaining car, used for the last scene of the movie, literally had to be pushed from behind by another car during the scene because it could no longer run after the beating it took. 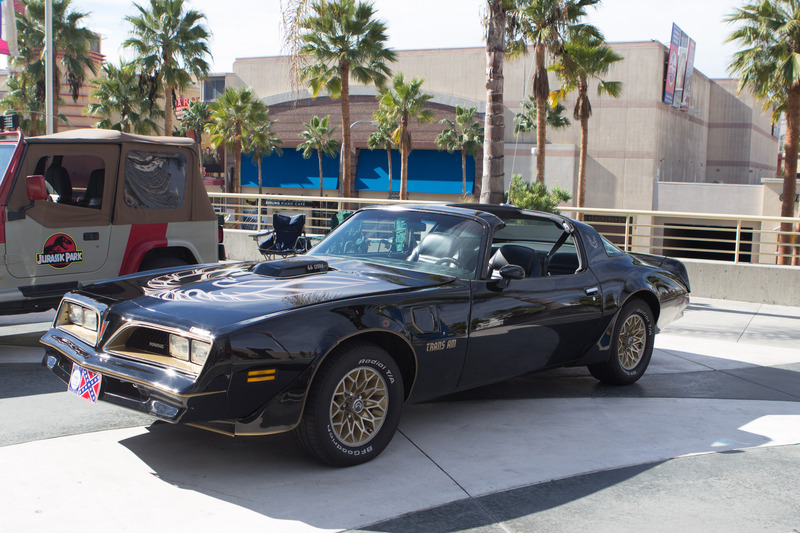 The 1977 Pontiac Firebird Trans Am from Smokey and the Bandit, like the legendary Burt Reynolds, goes down in history as one of the best of its kind. We will all remember Burt Reynolds for the delight he brought to us through the variety of roles he played, but his role as the Bandit sticks out as one of the most memorable. And you can’t help but also remember his awesome co-star, the ‘77 Pontiac Trans Am. If you’re in the market for a Pontiac Trans Am, or any other muscle car, new or used, we’ve got you covered. Come visit Bryant Motors today!